Mullin is a comprehensive landscape design + build firm that offers a wide range of professional landscape services ranging from landscape architecture / site planning to landscape construction and landscape maintenance. We take pleasure in working with clients in order to develop and create the perfect landscape for each situation, with attention to cost, on-going maintenance, and timeframe. Our projects range from urban to rural, comprised of residential, commercial, and public park projects, and expressing a variety of architectural themes and landscape styles. Landscape elements include pools, outdoor kitchens, structures, lighting, irrigation, plantings, decks, patios, and reflect an appreciation for the uniqueness of the site and client. Artscape Land Design is a landscape architecture firm that provides professional design and installation services for residential and commercial clients throughout the New Orleans area. The main goal of Artscape Land Design is to transform land into works of art with innovative plans drawn by only licensed landscape architects. Artscape designs plans to implement outdoor elements such as new landscaping, pools, patios/decks, outdoor kitchens, driveways, walks, decks, pavilions/pergolas and water features. We also design and install outdoor lighting and sprinkler systems. Please visit our website at www.artscapelanddesign.com. Frischhertz Design Group is a full-service Landscape Architecture and Land Planning company located in New Orleans serving the Greater New Orleans Region. FDG provides innovative design solutions of outdoor spaces with one key ingredient, the Client! We insist on the Client being involved during the design process from Concept to Completion. This integration and collaboration allows both the Client and FDG the ability to develop a well-conceived plan so the end result meets the Client's expectations and more. Mario Boesch owner of Clean Cut Landscape of Metairie is licensed by LA Dept of Agriculture and has been providing professional landscape services since 1986. We have built this business on Value, Quality products and Excellent service. "If you think it's expensive to hire a professional wait till you hire an amateur" We are EXPERTS FOCUSED ON YOU! Daly-Sublette has provided highly detailed design and construction services for over 30 years. Our projects have been featured in local and national publications in addition to multiple awards from the American Society of Landscape Architects. Our residential projects incorporate, planting, irrigation, lighting, swimming pools, outdoor kitchens & cabanas. We also provide commercial consultant services to Architects, Engineers & Developers. Licensed Horticulturalist, Erika Nolan, revamps residential & commercial spaces into an urban gardening oasis. She provides a wealth of knowledge about the best plants and the best ways to maintain the health of your new enclosure. We use the best of everything to supply organic produce and beautiful landscape scenery for homes and commercial spaces in and around the New Orleans area. Our team consists of experts in Irrigation, Arboriculture, Masonry & Ponds! Peter Raarup Landscape Design offers a complete spectrum of design services, installation, and maintenance for all sizes of projects. We work directly with each client to develop a design that fulfills their personal ideals, while addressing the functional needs of the project, and working within the budget. Our firm works with the latest AutoCAD program to facilitate and expedite cooperation with architects, engineers, and builders. The Garden Gates expert designers and landscape architects can help you with choosing the right outdoor accessories for your outdoor space or patio. We offer full service design, installation, irrigation, lighting, and maintenance. Speak to one of our experts today for expert color coordination, fabric choices, garden statues and more of the outdoor accessories that make your home so special. Shop online for Outdoor Decor, Patio Sets, Plant Supports, Wire Hanging Baskets, Compost Bins, Plant Markers, Coco Liners, Patio Set Covers, Saber Grills, Garden Supplies and Tools, Victorian Bells, and Garden Planters today.The Garden Gates offers the best in outdoor living, garden decor, outdoor furniture, and outdoor decor today online - your one resource for everything outdoors. 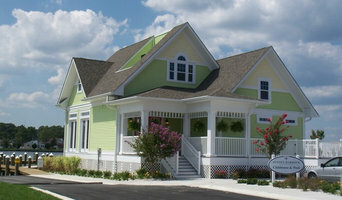 In business since 1997, Smoketree is a full design-build company. Our staff seeks to create a flawless design for you! We specialize in commercial and residential design, installation & maintenance. We strive for perfection and customer satisfaction. We are fully licensed and insured. At Alford's Landscaping we have established ourselves as the lawn and landscaping industry standard for quality work at a competitive price. We take pride in our ability to service the large commercial landscaping needs as well as residential in Denham Springs and surrounding areas. Alford's Landscaping was founded with one simple principle in mind: provide unparalleled customer support and outstanding quality services. Since our founding, we have built up a staff of professionals to serve your every landscaping need. We employ experts in gardening, lawn care and landscaping to give you a personalized and custom approach to your outdoor design needs. Land Graphics LLC has the vision to transform your landscape into a beautiful, functioning oasis. We believe that a design can be both beautiful and affordable at the same time, and we work closely with the client and the contractor to ensure that the vision becomes a reality. Land Graphics LLC specializes in planting and hardscape design, and focuses on giving the customer a great and flexible design at an affordable price. Andrew Prat graduated from the Robert Reich School of Landscape Architecture at Louisiana State University. He has over 10 years of experience designing landscapes throughout South Louisiana, and has worked hard at mastering his craft of both landscape design and representation. Land Matters is a landscape design and construction company. Specializing in residential master plans, you decide the degree of involvement and the scope of the project. From consultation only to master plan development to installation, there is a process to fit every budget. What does a landscape architect do? The work of this outdoor professional includes most everything surrounding a home's exterior. A landscaping architect can even work with the home architect to choose the right spot for your Metairie, LA house. From there the Metairie landscaper will develop preliminary concepts for your front or backyard design based on individual needs including the climate and activities that will take place, as well as layouts and planting plans. Landscape architects will also design any structures or outbuildings that will be added to the space. Any grading changes that will be added to the yard are also the responsibility of the architect. This includes any drainage modifications. An engineer can also be responsible for these tasks, but licensed Louisiana landscapers are fully capable. Like building architects, they will produce preliminary concept drawings as well as detailed construction documents and planting plans. Three-dimensional renderings and illustrative plans are all supplementary. What does a landscape designer do? A Metairie landscaping designer generally will have ecological, aesthetic and technical training, which helps them maximize the potential of your outdoor space. Keeping in mind both style and functionality, garden designers analyze your architecture and yard to produce a plan that may or may not include location and materials for walkways, patios, water features, fences, garden aspects and more. In addition, a landscaper in Metairie, LA will carefully assess your geographic region to choose plants, trees and flowers that will flourish naturally, as well as address concerns such as drainage, screening and soil conditions. Certain landscape designers only help with the planning portion, while some may deliver the plans and then oversee a hired landscaping contractor. Others — typically following a design-build approach — take care of both the design and all aspects of the landscape architecture and construction. Before you hire a Louisiana professional landscaper, consider the scope and emphasis of your outdoor project. Landscape architects, who typically hold advanced degrees in their field, are trained to develop comprehensive structural plans that include plants, hardscaping, water use, drainage and more. Landscape designers typically specialize in the aesthetic and horticultural, rather than structural, side of yard and garden planning. They might or might not have advanced training. Even within their fields, a garden designer may specialize in hardscape- or vegetation-focused designs. In some cases you might need to hire additional help to get the outdoor space you want. Here are some related professionals and vendors to complement the work of landscape architects & landscape designers: Landscape Contractors, Garden & Landscape Supplies, Tree Services, Gardeners, Lawn Care & Sprinklers, Decks, Patios & Outdoor Enclosures. How long have you been in the landscaping business? What regions and climates are you skilled in? Can you accommodate my special requests (such as ADA or LEED)? What types of renderings will you produce? When can you complete this project? Who will be working on the project design? Can you provide me with a written estimate? Are there any important considerations or concerns that you know of or that might come up in the future with this project? 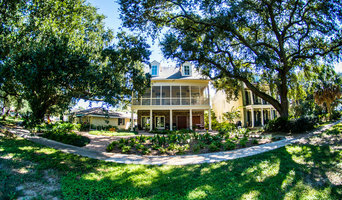 Find a Metairie landscape architect on Houzz. 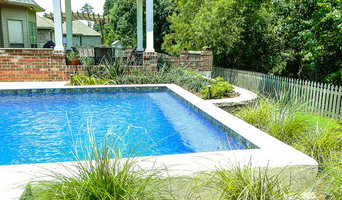 Narrow your search in the Professionals section of the website to Metairie, LA landscape architects and designers. You can also look through Metairie, LA photos to find a space you like, then contact the professional who posted the photo.